Sophia Swing Coat. 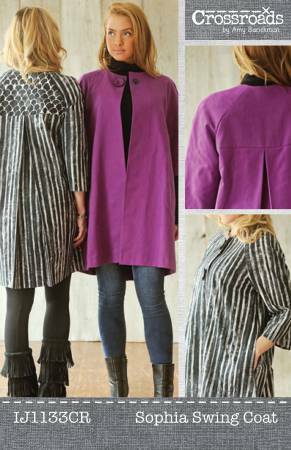 This unlined swing coat features raglan sleeves & back yoke for a sophisticated style. Instructions include inseam pockets & two sleeve length options. Sizes: XS - 3XL.